The materials handling sector within Australia is a small but crucial part of its wider logistics industry, which, as a whole, contributes around $131.6 billion to the economy and employs some 1.2 million people. Karen Harverson spoke to a number of key players within the industry about emerging trends, current challenges and what the future may hold for the sector. Australia’s forklift industry is small compared to overseas markets, with more than 12,000 units delivered in 2014, according to the Australian Industrial Truck Association (AITA), (out of the 1.09 million units sold globally). The AITA was formed in 1961 and membership includes most of the manufacturers and importers of lift handling equipment and other major companies and suppliers associated with the industry. The association meets regularly with state authorities on the development, maintenance and implementation of mutually satisfactory industry standards. Significantly, the association led the development, publication and implementation of AS2359 – the definitive standard covering all aspects of powered industrial truck usage. In addition, the AITA is strongly represented on working groups of the ISO developing international standards for the global industrial truck sector. According to executive officer Sue Hart, Australia is taking a much stronger attitude towards workplace safety and particularly where materials handling equipment is involved. She tells Forkliftaction.com News that the AITA has taken a lead role in promoting safe practices based on the requirements of AS2359. "In recent years, the AITA has worked closely with State and Territory WorkSafe bodies, developed an AITA Code of Conduct which is binding on all members, a series of Engineering Technical Bulletins addressing a range of technical and usage issues, published a FLT Fair Wear and Tear Guide, conducted National Forklift Safety Week and seminars in Sydney and Melbourne over recent years and will do so again in 2015." One of the major challenges for the forklift industry, says Hart, is to continue to improve safety in all aspects of the manufacture and use of industrial trucks in the face of increasing numbers of grey or parallel (imports) which are imported outside authorised distribution channels, and equipment manufactured overseas that does not comply with international and Australian standards. She adds that a further challenge to safe usage is the lack of consistent and clear licensing requirements across Australia, particularly in relation to low-level order pickers, where licences are required for different heights in different states. "A further licensing concern is around the new licence in relation to use of reach stackers and the time taken to get the competency requirements in place. Allied to this is the decrease in formal apprenticeship training for industrial truck users and technicians and variable training standards across private training organisations," says Hart. One of the biggest players in Australia’s materials handling equipment market is forklift specialist Linde Material Handling. Director of marketing George Pappas tells Forkliftaction.com News the market has been softening in the past four to six months and this is seen as a direct reflection of economic and business confidence. 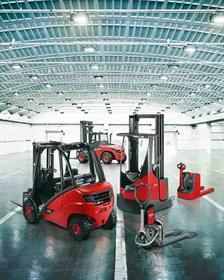 Linde is one of Australia's leading forklift suppliers. "2015 also started slowly, but this is not reflective of the medium- to long-term market size or composition," he says. According to Pappas, the Australian market has a long-term strength which belies its short-term volatility. "This provides us with the confidence to continue to invest in our sales and support organisation, infrastructure and, of course, people." In recent years, says Pappas, there has been a slight shift away from internal combustion to electric power. "This is an obvious but important observation. In a market where electric equipment is highly developed, more opportunity exists for a shift towards the benefits of these products." In addition, Pappas says there has been a more common trend of prospective customers investigating their acquisitions in more detail and going beyond the simple price comparison and "fit for purpose" model. "They are looking to verify claims made around fuel efficiency, productivity, ergonomics and even the relatively new topic in Australia of human vibrations and its effect on fatigue," he adds. "Australia lags the developed world on these subjects, but is catching up in recognising that the true value of materials handling equipment is the potential for improvement in the efficiency of their operation." Commenting on the local market, Pappas says it has always consisted of a spectrum of needs from the budget-conscious small user to the high efficiency needs of medium and large operations. "There has been a failure through some suppliers and customers to understand the painfully apparent limitations of buying simply on price. "The market is littered with failed attempts at cost savings, where the equipment has been returned or is sitting idle due to major and even minor component breakage. This is the result of bad decisions and bad advice. "We see this market maturing and finding its equilibrium. We welcome the idea of the right solution for the application but this is not always as simple as it seems." He says Australia has always been a strong rental market, and believes it will continue to grow as long as the accounting standards continue to support this type of product. While the market is dominated by four or five major suppliers, Pappas says there is no doubt that the market can be easy to enter for competitors - but it is difficult to properly support customers’ needs and expectations. "This requires investment and commitment; Linde does not compromise in these areas and we see a major challenge in the arena of supplier over-commitments. Helping customers see through the maze of options and assisting them in offering proper advice is often a challenge." Looking ahead, Pappas is excited about the company’s innovative updated internal combustion product which caters specifically for small business needs - the 351-186. "This product still offers all the benefits of Linde quality and the drive systems in a package more suited to the low- and medium-usage market. We are very excited about this product and expect that it will introduce us to an entirely new group of customers." He attributes the company’s success in the Australian market to its ability to put customers’ needs first, and not only provide good advice but also deliver on it. "For Linde, this comes more easily due to our ability to offer product solutions from the Chinese manufactured Baoli right up to the most advanced German-manufactured Linde. "All our products are supported equally by Linde as we are all part of the same organisational family and are a wholly owned subsidiary of the parent company. This means that no matter what we supply, be it a short-term or long-term rental, Linde or Baoli or one of our certified pre-owned solutions, you will always have the confidence of knowing that we will be there for you." Equipment manufacturer Mobicon Systems is one of the country’s innovation success stories. Managing director Tom Schults tells Forkliftaction.com News that sales of the company’s mini-straddle carrier have grown by around 25% over the last year. He says the demand for renting this equipment is even greater, prompting him to start his own rental company. Equipment manufacturer Mobicon Systems is one of the country’s innovation success stories. With the emphasis so much on safety, anything that improves safety is now a must, rather than an extra, Schults explains. 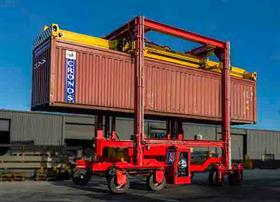 "The improved safety, cost benefits and efficiency gains of using mini-straddle carriers are very obvious; however, the idea of having a container handler in the yard is for many companies a challenging thought." He adds that informing the market about the benefits of having a container handler in-house is the greatest challenge for the company. He is confident about the future. 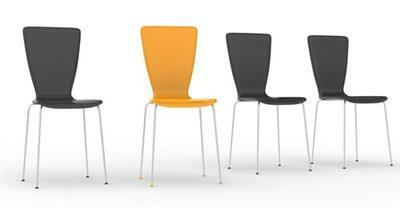 "We have been in the market for 20 years, and our products have proven themselves over and over. Our eight-wheel mini-straddle carrier is the only one in the world that has a wheel weight low enough not to damage a client’s yard. All other straddle carriers on the market will, over time, damage an average yard." Looking ahead, he says the company’s new ECO range of mini-straddle carriers has proved a hit with customers with its combination of better manoeuvrability and stacking two high, while still having an extremely low wheel weight. 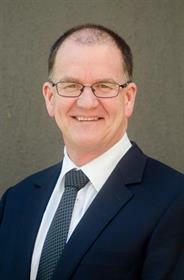 From a materials handling perspective, Australian Logistics Council (ALC) CEO Michael Kilgariff tells Forkliftaction.com News that there are two major emerging trends: the growth of the industrial property market and growing recognition across the supply chain of the legal obligations faced by all parties which store, move or receive freight. "There has been significant growth in the industrial property market over the past few years, with greater interest by property companies and real estate investment trusts to invest in business parks and logistics ‘sheds’," says Kilgariff. He cites a report by Colliers which reveals new industrial facilities across the eastern seaboard are 33% bigger than they were in 2010, with the average size of a new facility nationally currently around 14,000 sqm. 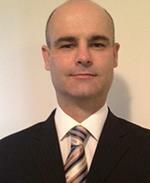 Australian Logistics Council (ALC) chief executive Michael Kilgariff. "These dedicated logistics facilities are one of the key drivers of extraordinary growth of the (industrial) property market." On the issue of supply chain obligations, Kilgariff says there is increasing awareness by operators of their responsibilities under the Heavy Vehicle National Law. "All parties in the road transport chain, from the consignee to the consignor, are liable for breaches of the law relating to speeding, fatigue, mass limits and load securing." In response, ALC has developed the National Logistics Safety Code of Practice to assist participants manage their obligations under Chain of Responsibility laws through practicable and enforceable guidelines across the entire supply chain. He believes the greatest supply chain challenges facing Australia are the multiple threats to efficiency which cry out for action. "The most pressing of these are the provision of nationally significant logistics infrastructure, ensuring there is greater certainty on planning for freight; eliminating overlapping regulations which affect productivity and ensuring there is a whole-of-supply chain focus on strategic corridors. "Greater action across these areas will boost supply chain efficiency, for the benefit of all Australians." Integral to Australia’s supply chain is the increasing use of technology which is driving change within logistics, materials handling and warehousing. The use of information technology is transforming the logistics landscape; for example, the widespread use of real-time freight tracking through electronic monitoring and message systems installed in equipment and vehicles. Another emerging trend is the move by online retailers towards automated robotic pickers, according to Mark Skipper, national chairman of Supply Chain & Logistics Association of Australia (SCLAA). He says online retailers are investigating the use of automated robots to pick online orders and take the items to the packing point, "which means picking can run 24 hours, even with the lights off." 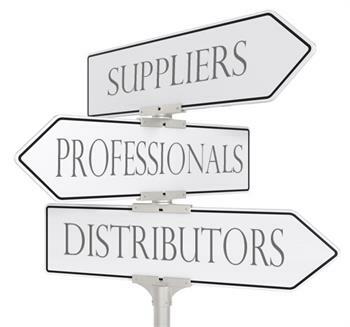 The SCLAA is Australia’s largest association for supply chain and logistics SMEs, professionals and practitioners. Embracing technology throughout its operations, industrial tyre specialist Solid Plus says the use of technology has enabled it to set itself apart from its competitors in Australasia. "Our goal is to be the easiest company to do business with," says general manager Jamie Anderson. Solid Plus general manager Jamie Anderson. He tells Forkliftaction.com News the company supplies a service that is convenient for all parties involved, "from the time of order or quote to delivery, invoicing and follow-up". This year, the company plans to add many new tyre sizes and patterns within its range of worldwide tyre brands. "We also see the benefit in investing further in e-commerce initiatives that add additional value for our customers’ purchase," says Anderson. TVH Australasia, one of the country’s biggest suppliers to the forklift sales, repair and fleet rental industry, has integrated technology into its operations in order to provide customers with easy access to its huge database of aftermarket forklift spare parts and accessories. The company’s parts division boasts 450,000 parts in stock and a database containing over 12 million cross-references, making it one of the biggest providers of parts for a great variety of machines: forklifts, aerial work platforms, telehandlers, sweepers and scrubbers, port and agricultural equipment. Managing director Grant Adam tells Forkliftaction.com News customers can check prices, availability and technical information of parts and accessories even after hours through the company’s webshop, MyTotalSource. 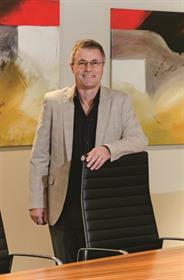 TVH Australasia managing director Grant Adam. "This year, various new options have been implemented to make the webshop even more dynamic and customer-friendly," he says. TVH opened its first Australian office in 2002 and now has branches in Brisbane, Sydney, Melbourne, Adelaide and Perth, as well as an office in Auckland, New Zealand. 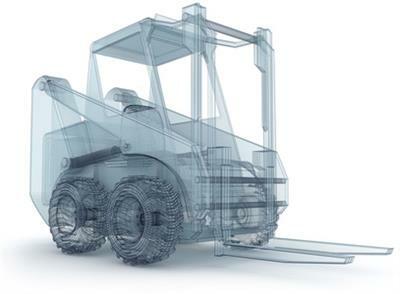 "Our staff have decades of experience in forklift parts and combined with an extensive stock holding to suit the Australian market, we are the leading aftermarket parts company servicing this ever changing industry." David Huisman, MD of Orbit Communications, tells Forkliftaction.com News that companies are becoming more aware of the benefits of technology and are moving towards integrating it into their traditional warehouse environment. Orbit Communications specialises in the design and manufacture of a wide range of risk-reduction solutions for various industrial sectors, including mining, construction, primary industry, logistics. Orbit Communications specialises in the design and manufacture of a wide range of risk-reduction solutions for various industrial sectors. "There is increasing acceptance of smartphone technology along with the proliferation of apps that people are tapping into." "Through the monitoring system we offer, companies are able to access real-time information to provide better fault control and as a behavioural tool to improve the safety culture amongst workers." Looking ahead, Huisman says Australia’s materials handling industry will continue to increase its emphasis on smart, connected systems that provide real-time analytics and efficiency information to improve logistics management for competitive advantage. "From a safety aspect, there will be increased pressure from WorkCover and insurance companies on businesses to use available technological solutions to improve workplace safety." It’s a sentiment shared by Phil Newby, CEO of the Hire and Rental Industry Association, the official industry association for hire and rental companies in Australia, who says safety in the workplace remains a major concern within the industry. He is seeing a definite increase in the demand for telematics in equipment used in the materials handling sector as a result of the increased focus on safety. "The more widespread use of tracking and diagnostics tools enables fleet owners to monitor and measure how their machines are being used, when they’re being used and which machines are being used, which all serves to increase safety levels." Newby says materials handling equipment hire is a small part of Australia’s $6.5 billion hire and rental industry, which provides a range of equipment across varied industries from general plant hire, access and portable buildings to temporary power generation and excavation equipment. He says the association’s 700-plus member companies conform to a rigorous set of regulatory requirements and have additional systems and services in place for operator education. HRIA chief executive officer Phil Newby. Another growing trend, according to Newby, is the rise of China as a manufacturer of equipment, which, along with the relative strength of the Australian dollar, is affecting the market. "Hire companies are able to bring in equipment from other markets at a more competitive price, allowing them to rebrand their fleet and hire it out at a more competitive rate without compromising safety or reliability." International Cargo Handling Coordination Association (ICHCA) is an international, independent, not-for-profit organisation dedicated to improving cargo handling and goods movement by and across all modes and through all steps of national and international supply chains. ICHCA Australia acting chairman John Warda tells Forkliftaction.com News that along with the increased emphasis on safety in cargo handling and new developments in equipment, systems and solutions including robotics and automation, there is also growing emphasis on environmental issues - including increased regulation of environmental controls of transport and logistics globally. Other trends impacting on the logistics industry include increasing port privatisation in Australia; deregulation of the grain industry and its impact on cost and road, rail, ports and shipping; greater focus on improving infrastructure; bigger ships and aircraft placing new demands on air and sea ports and the land transport system along with changes in cost shifting and slowing of reforms to Australia’s transport infrastructure; and governments putting nuclear options back on the economic and community policy agenda. Since 2000, the Forkliftaction.com News team has been keeping business people informed with independent industry news, global and local stories, coverage of brand & dealer developments, end-user stories, new technologies and products, corporate moves, safety columns and market reports. For full access to our independent news and other business resources Subscribe to Forkliftaction.com News. Discuss Forkliftaction.com News stories in the Discussion Forums! Subscribe to the weekly e-newsletter. Contact us with your advertising queries.